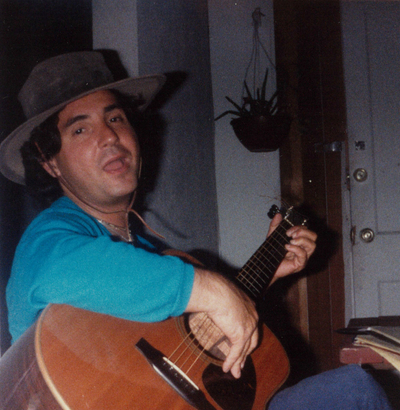 TaliasVan started singing as a youth with street corner harmony groups. 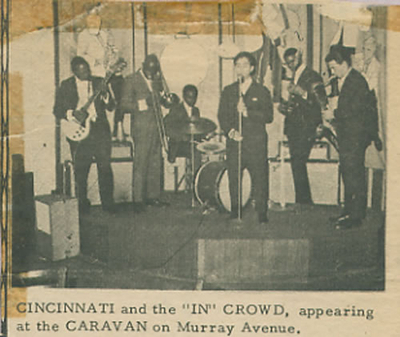 Started first professional harmony groups that sang Rhythm & Blues in Uptown Pittsburgh, PA. 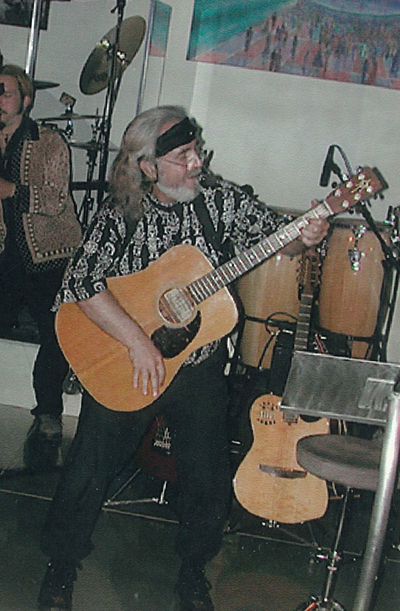 Performed with many street-corner groups. People began to give donations and tips. Sang at teenage dances. 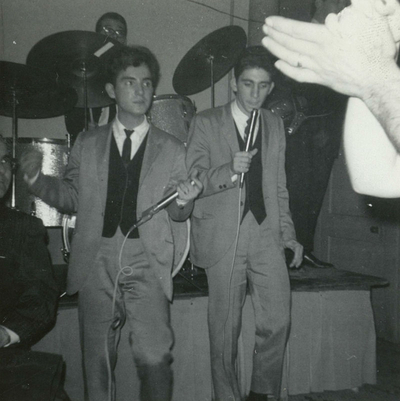 Won Best Talent Act at Connelley Vocational High School in 1964. Some of the ones I sang with were Tommy Riley (also called Bombo), Robert Duke LaManna (still singing in Pittsburgh at age 73 with Liz Calfo in a group called Together Again), Billy Regan (from Terrace Village), and Elaine Sofocal (from Oakland). The Marcels of the famous song "Blue Moon" practiced on the next street from me. I used to hear them and watch them all the time. 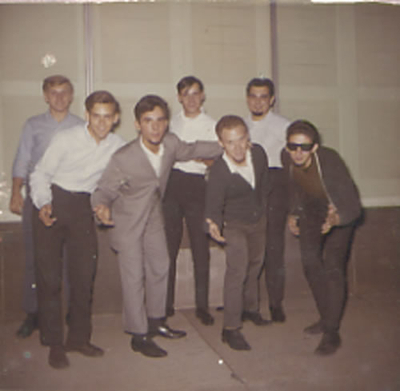 I auditioned, when I was 15 years old, for Jimmy Beaumont & The Skyliners, who became famous. 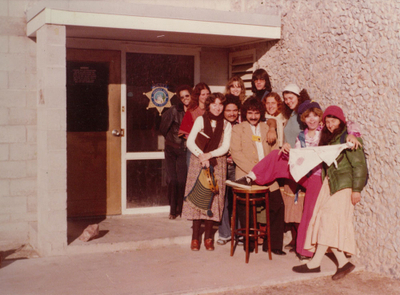 I was too young to join them. Took first place at the Connelley Vocational High's music contest and awarded second place at all-city talent contest. 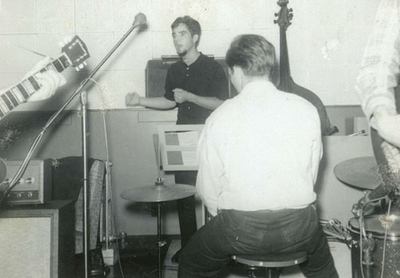 The Fuzzes recorded 18 45-RPMs at Snyder Recording Studios in Cleveland, Ohio. 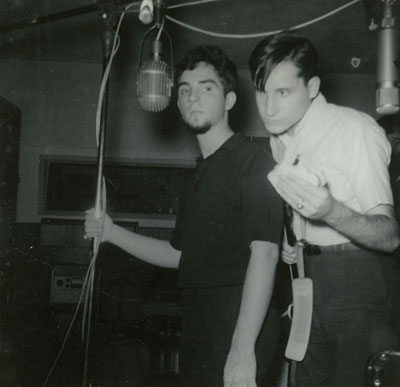 We all had goatees because it was the time of The Beatles' beginning and we were looking for a gimmick. 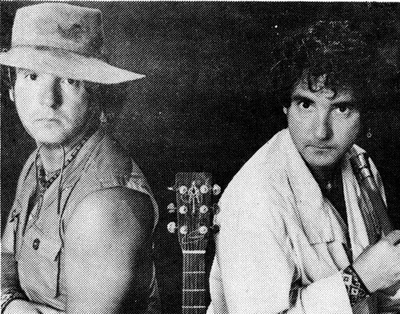 We were managed by Ken Julian. Ken passed away and nothing ever came of the 45s. 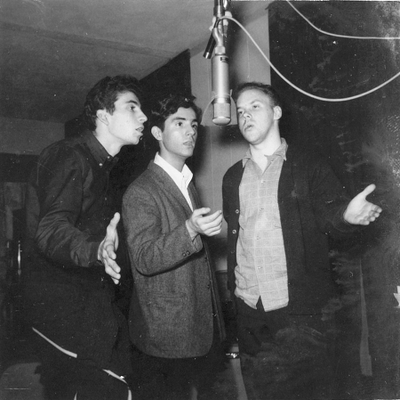 Duke LaManna sang in this group with Bombo. Bombo passed away. 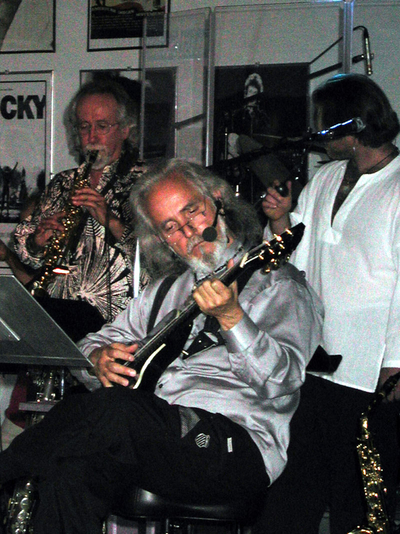 Lou Lucarelli played drums and is now a jazz vibe player, playing with his brother Jerry Lucarelli—two great musicians. Before Ken died, he took our music to Mercury Records. 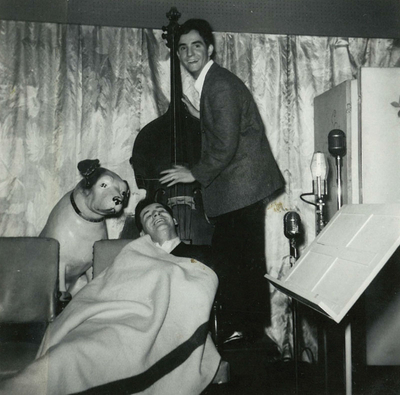 And one day, an executive from the A&R Department called me and said they loved my lead singing and would I be willing to sing this new music and asked if I heard about it, called Beatlemania. The Beatles hadn't even come to America yet. So I laughed and said, "No way, I sing rhythm and blues." 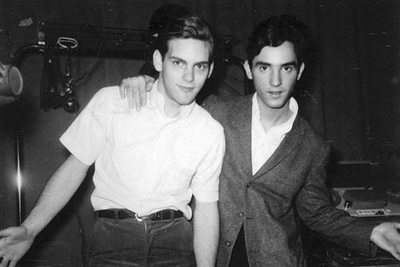 Anyone who did Beatlemania became famous, the first being The Rolling Stones. Destiny had other plans for me. 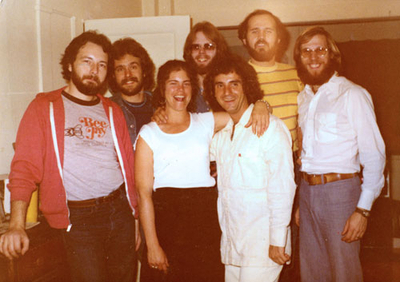 At Snyder Recording Studios in Cleveland, Ohio. Sang in Pittsburgh nightclubs with local popular bands. I'm singing 'My Girl' in this shot. 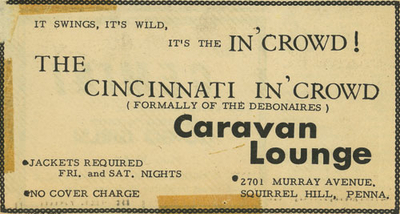 First white singer to work with Joni Wilson and The Debonairs, a 14-piece black rock band in Pittsburgh. 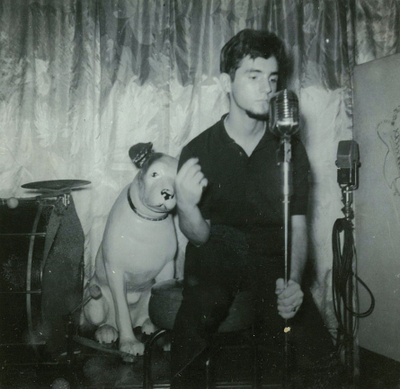 Recorded eighteen songs on 45-rpm vinyls with Snyder Recording Company in Cleveland, Ohio. 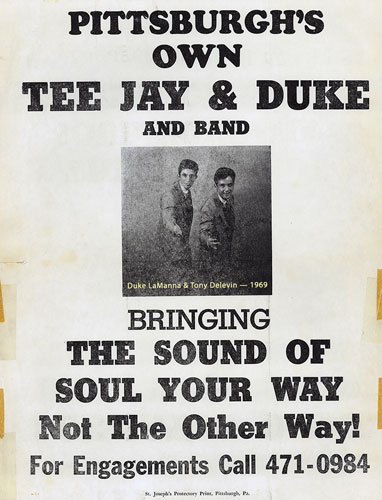 The Isley Brothers also recorded here, among others. 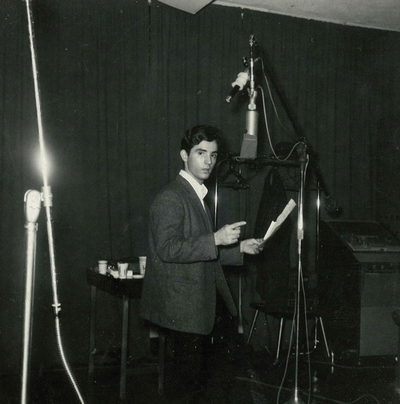 Recorded two original songs I wrote, with the Debonairs—Come Into My Heart and Jive Dooley Bop—on 45-rpm vinyl at Gateway Studios in Pittsburgh, Pennsylvania, where Lou Christie recorded, of The Gypsy Cried fame. 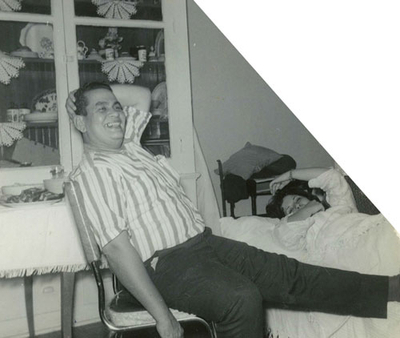 I was 21 years old. Nothing ever came of these too, because the gentleman who was managing me went through a divorce and his wife took most of his money. 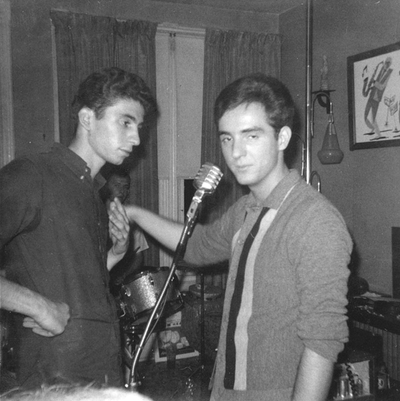 His best friend made Fabian famous and that was his plans for me too. I guess God had a different destiny for me. Had a spiritual awakening; quit nightclub performing and began to write spiritual songs and only perform at spiritual events. I met Phil Keaggy, one of the best guitar players in the world who also recorded Christian songs, and he wrote this letter to me. Off to play in a coffee house. In Tucson, Arizona, at the main auditorium of the University of Arizona, was an opening artist for famous Christian contemporary rock bands such as Petra, Resurrection Band, and Servant. 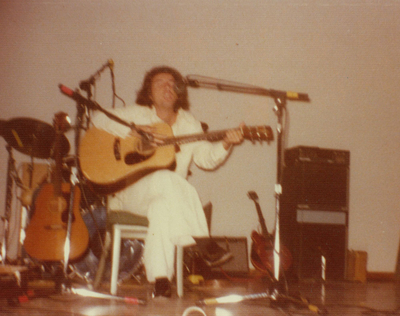 33-years-old in Tucson, Arizona 1979, performing concerts. 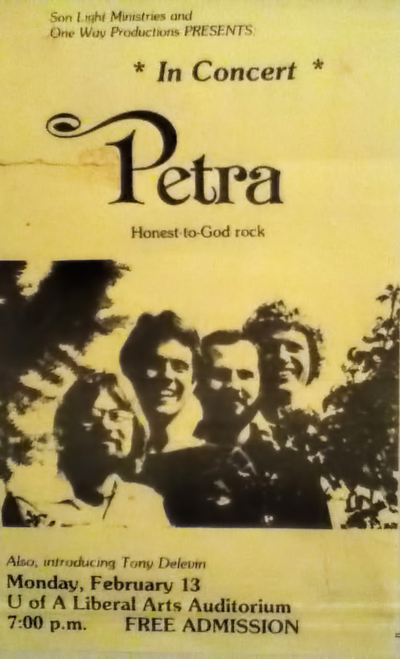 Opened for original Christian rock band Petra at the University of Arizona Liberal Arts Auditorium in Tucson, AZ. I was known back then by my birth name, Tony Delevin. Performing as the opening act before Petra. Me and my ex-wife, Jerri, the day before we were married, with Petra. 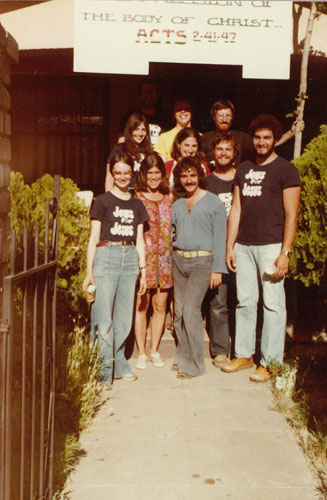 Jews for Jesus. Me and Jerri (my ex-wife). My Christian drama group. 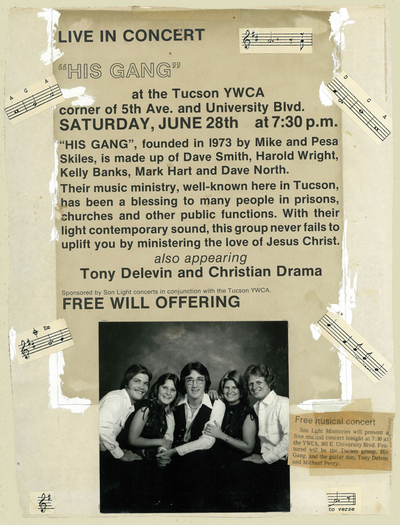 We played at the County Jail, where I was a volunteer chaplain. Gig at the YMCA, 4th Avenue area. 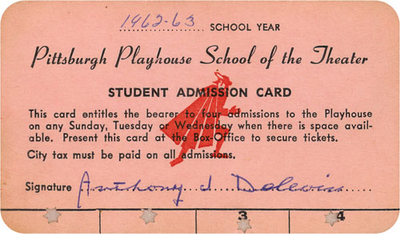 I was in this play. And in the boat. 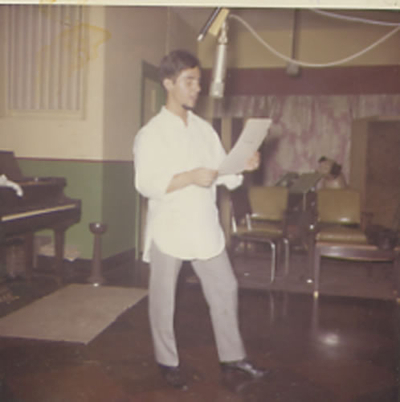 Recorded his first vinyl 33-rpm album of ten songs, first released as Unicorn Love, at Aircraft Studios in Pittsburgh, PA ("Flowers," "Thinking How I Love You," "How Can We Judge Other People," "Listen To The Calling," "Wake Up America," "Escape," "Unicorn Love" (Title of Album), "But You're Not With Me," "The Great American Dream," "Good-bye Little Bird"). 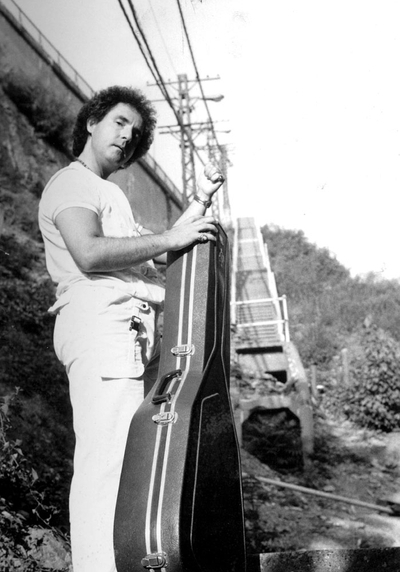 Promotional shot "Stairway to Heaven". 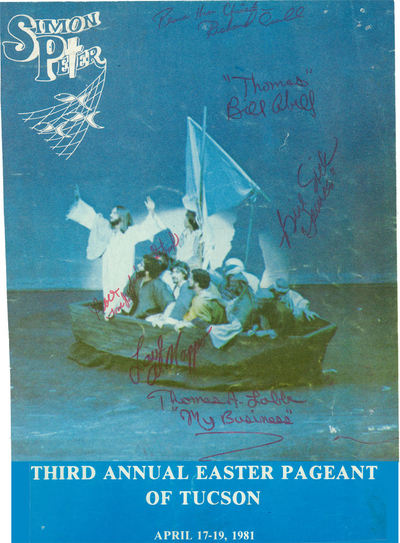 Sang as the only caucasian lead singer with the Afro-American Catholic St. Benedict Gospel Choir in Pittsburgh. 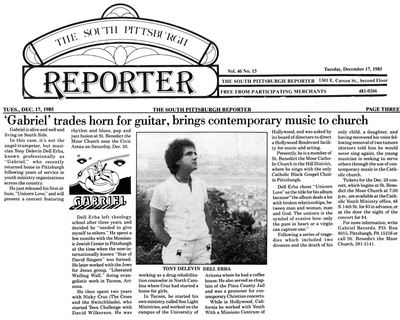 Was chosen for an international broadcast of KDKA Radio (the first radio station in the U.S.) to sing his original composition "Blessed Mother" on Christmas Eve, opposite the Pope and Midnight Mass on television. TaliasVan featured in the South Pittsburgh Reporter; recognized for bringing higher-consciousness music to the American public. 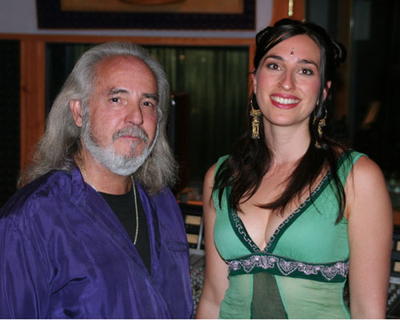 TaliasVan brings all-original New Age Vocal album Unicorn Love to Hollywood, California. 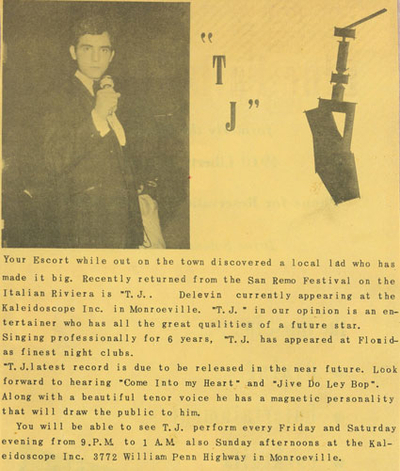 TaliasVan travels to Hollywood, California to promote his Unicorn Love album, the first ever New Age Vocal album. 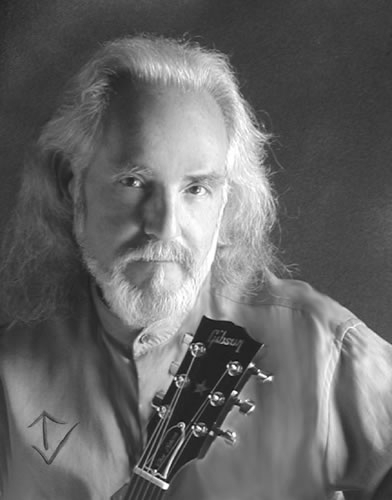 He brought it also to Windham Hill Records and they rejected it, because they said that, "New Age music is not vocal music, and can't have lyrics." 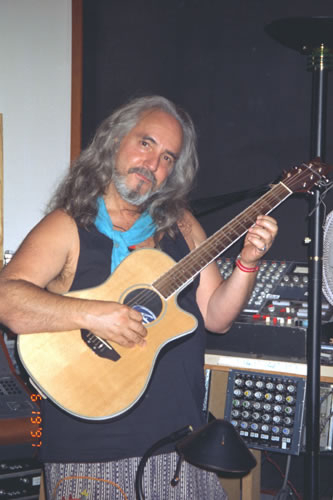 But they later recorded many New Age vocalists based on his idea. 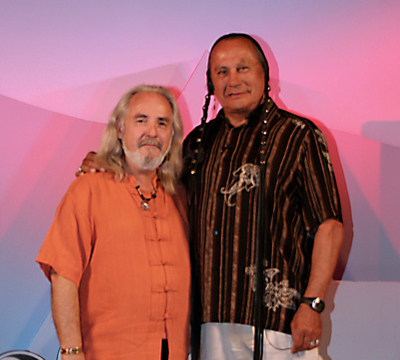 He dubbed his New Age vocals, "Luminar," and later, "EGA-WEN," which is New Age backwards. Windham Hill later used the very term "luminar." 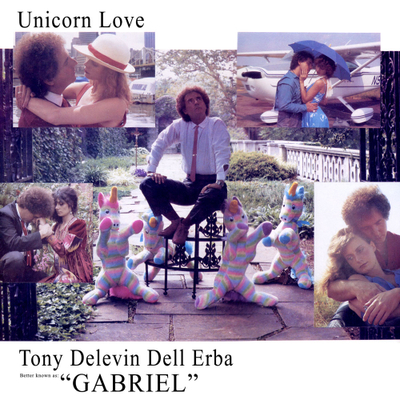 I know Unicorn Love was the first New Age Vocal album because my friend Christall was the manager of the first New Age music store in West Hollywood, and when I took my album in, upon his recommendation of me to the owner, there were only New Age instrumental music cassettes and vinyls in the store. The owner would not put my vocal album in the store saying, "There can't be a New Age Vocal album." And I said, "Oh yeah there can. Here it is." But the owner was still obstinate and narrow-minded. 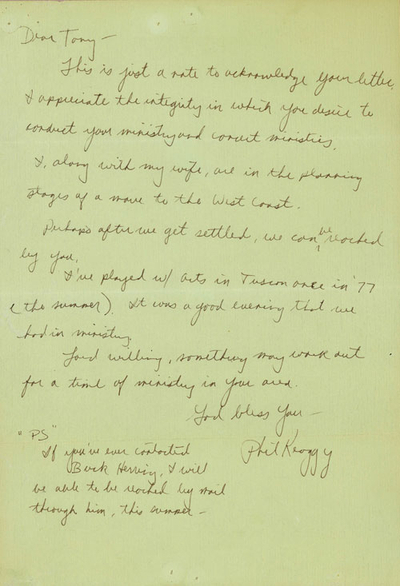 Later, when I worked as a messenger driver to keep a roof over my head, I went into an office in Pacific Palisades. I would take my album everywhere I went, in case I went into something music related. And I showed my New Age Vocal album to the man at the desk, and he said "I'll take a look at it," but he never got back to me. 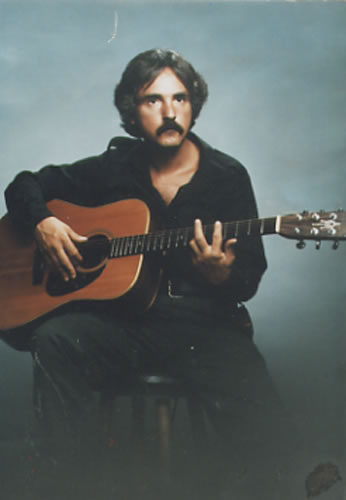 Months later my friend & I, who was also a New Age instrumentalist and had a cassette out called Mystic Traveler, went into an Italian restaurant in Santa Monica, California and there sat the man behind the desk, with his wife Eliza Gilkyson. I wondered why they avoided looking at me, but soon I heard her song on the radio, claiming to be the first New Age Vocal song. Hollywood is ripe with theft of all kinds. 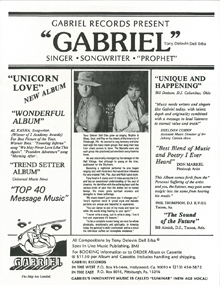 A radio station, who I sent an album to, copied one of my original marketing phrases which said, "Listening to one of Gabriel's songs is like reading a good book. The more you listen, the better it gets." The radio station changed it to "Listening to K-AGE is like reading a good book. The more you listen, the better it gets." I called the radio station up, but they just hung up on me and said, "Hire an attorney." Of course I never copyrighted the phrase, because I didn't have enough money. Another time I sent my album to a major record label, which was Sting's label. They never got back to me. A few months later, I hear this song playing with Sting singing his famous tune "If You Love Somebody Set Them Free." 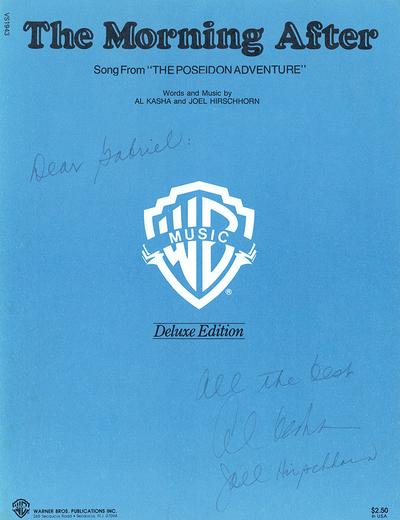 Of course on my album was "Goodbye Little Bird," which had that same theme. I finally learned my lesson that you can't trust anybody to be honest in Hollywood. 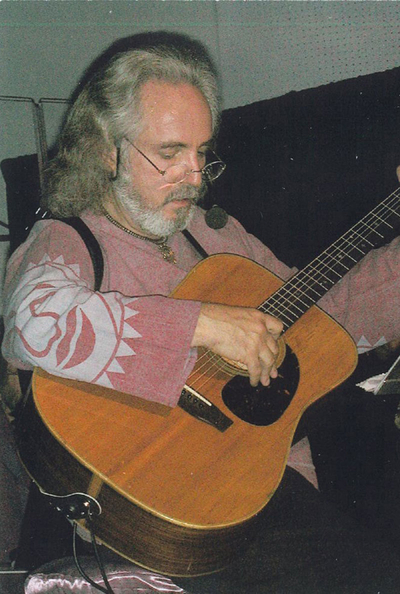 As his music did not follow the contemporary Christian sound, he then invented the term and genre, "New Age Vocal." Then took his New Age Vocal vinyls and cassettes to Hollywood and introduced the music to many recording labels, including Windham Hill, as well as the Songwriters' Association of Hollywood. 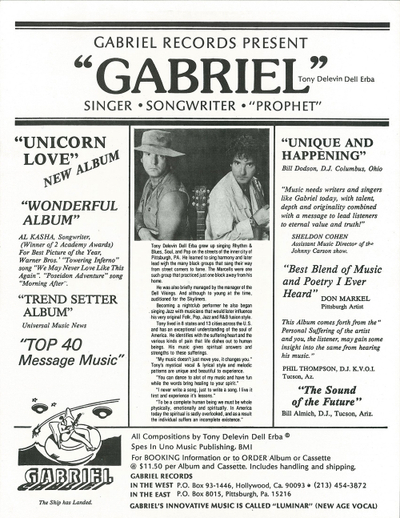 Gabriel of Urantia 1986 (at that time in Hollywood, California, before changing his name to TaliasVan), depicting the two sides of him — the Arizona side and the Hollywood side. 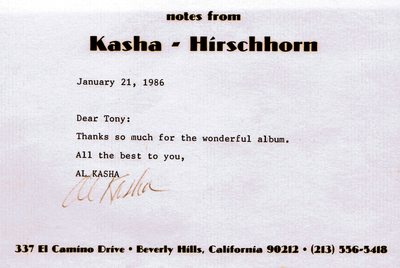 Al Kasha — two-time Academy-Award winning Songwriter for Best Songs of the Year for a Motion Picture, receiving 2 Oscars for "We May Never Love Like This Again" from The Towering Inferno and "The Morning After" from The Poseidon Adventure — called Unicorn Love, by TaliasVan, a "wonderful album." Sang with the 100-voice Afro-American Catholic St. Brigid Gospel Choir in Los Angeles; was the lead singer in the song "Waymaker." Performed this song at an all-city black Catholic gospel concert, which included gospel choirs from other black Catholic churches. 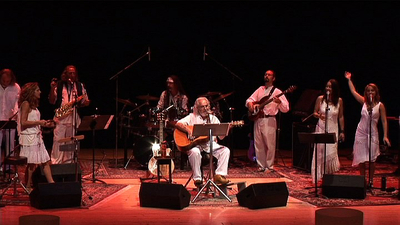 Performs at the Globe Center for the Arts in Globe, Arizona. 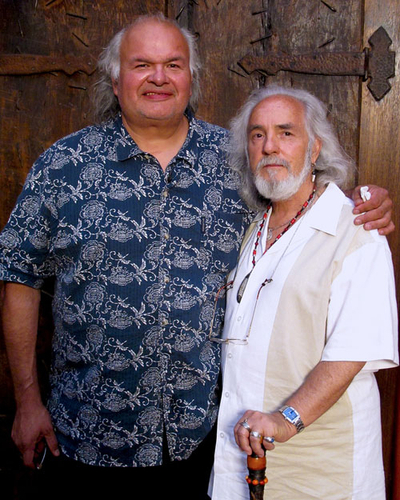 Also had his own 1-hour radio show called "The Hour of Enlightenment" on KIKO radio in Globe, Arizona. Playing at a ranch that became a monastery, outside of Albuquerque. 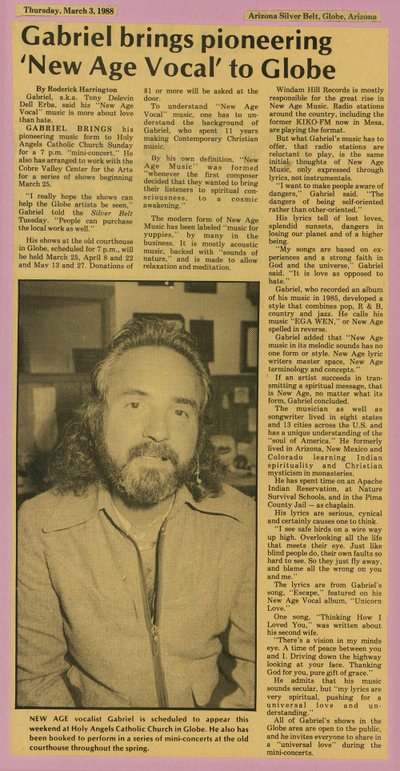 Recognized as the pioneer of "New Age Vocal" by Globe Reporter Newspaper. 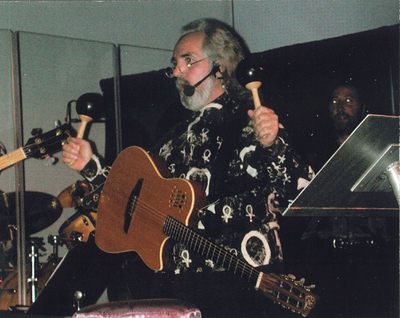 Yes, I brought New Age Vocal to both Globe, Arizona and the globe (Earth). I was then dating Niánn, who lived in Globe. Unicorn Love vinyl album re-released in Prescott, Arizona on cassette and with new jacket cover, as Escape, using one of the key songs (a CosmoJazz™ cut from the album). 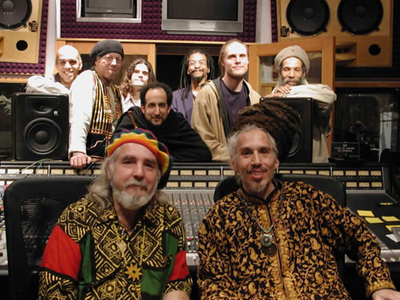 The Bright & Morning Star Band is forming, practicing, and recording. The Band members are all on a path of wanting to change the world. The patience and pain of waiting for the right musicians is a constant trial. 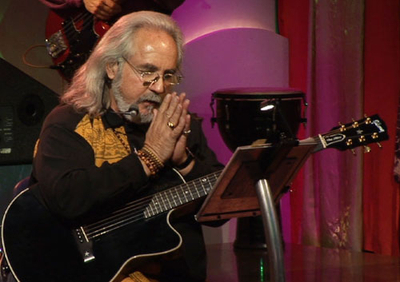 Many musicians fail to meet the mark of humility, sacrifice, and service to humanity. 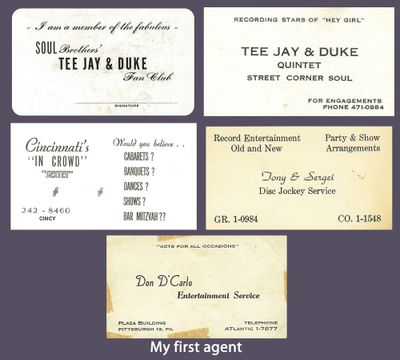 However, the band is finally established and professionally efficient after years of practice. The Bright & Morning Star Band goes into Vintage Studios in Phoenix, Arizona to begin recording the professional quality CD, Holy City, TaliasVan's CosmoPop® music debut. TaliasVan refuses to compromise by not performing in venues that serve alcohol and where drugs are prominent and begins to manifest the drug- and alcohol-free Future Studios. 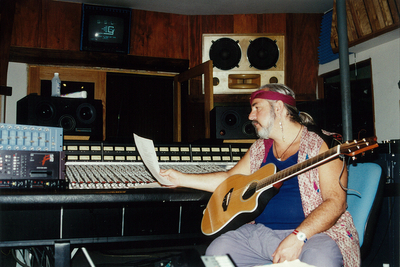 This was the award-winning engineer Billy Moss' studio. Holy City album, the new fourth-dimensional sounds of CosmoPop released. Songs: "Wake Up America," "Morning Song," "Wish Angel Sandman," "Arizona's Calling Me," "Oh My Niánn," "The Great American Dream," "The Freedom Song," "Holy City." CosmoWorship I, an album of cosmic worship songs by TaliasVan and performed by his 40-voice Bright & Morning Star Choir and 10-piece orchestra, released. 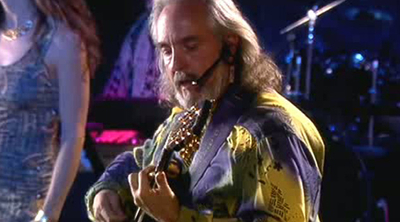 Songs: "Cosmic Family," "Particle Harmonies," "Let Love Shine," "Tree of Life," "Walk Across the Universe," "Love's Gonna Do It," "Exultet," "Jesus Lullaby," "Be So Kind," "Michael." Global Change Music Nonprofit Record Label records TaliasVan's 40-voice Bright & Morning Star Choir, and other in-house bands such as VansGuard, the Starseed Acoustic Ensemble, Planetary Folk Group, The Change Agents Band, and Ellanora DellErba and the Israfel Awakened Band begin recording Global Change Music. TaliasVan puts out a challenge to all musicians world-wide to write higher lyrical content and higher consciousness music. Many new artists are invited to audition for the label. Corporate-owned media programs NBC Dateline and Entertainment Tonight, in tabloid journalism style, attempt to discredit TaliasVan's Global Change Music by misrepresenting him and demonizing his character on national television to 80 million people. Entertainment Tonight gets on the bandwagon as well as VH1's Rock Candy. 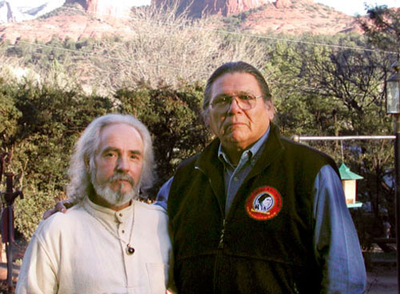 Years later Vikram Gandhi gets on the bandwagon, along with major newspapers like the Phoenix Republic, the Arizona Daily Star, Arizona Green Valley News, the Miami Herald, The Boston Globe, and The San Diego Tribune—to name a few. All of this negative press keeps CosmoPop from broader national and international exposure. Because of Internet radio, CosmoPop is just beginning to get national and international recognition. But to this day TaliasVan is blackballed from radio and television. But one day all those responsible will stand before the just Judge, when the Promised One returns. TaliasVan's song "The Morning Song" chosen by the magazine and network New Age Voice to be included on their International Promo CD. 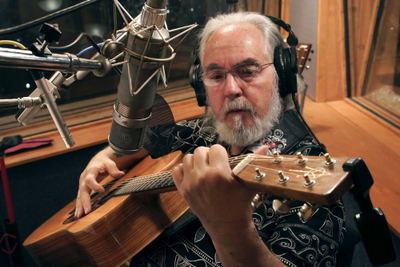 KKUP in Cupertino, California, 91.5 FM, interviewed TaliasVan on its "Changes Radio" program. DJ Elizabeth Gips discussed with TaliasVan the fourth-dimensional aspects of his CosmoPop® music and the need for individual and global change. KDHX 88.1 FM radio in St. Louis, Missouri, featured TaliasVan & The Bright & Morning Star Band's Holy City CD in a broadcast on DJ Gabriel's Tin Pan Alley program. TaliasVan discussed with DJ Gabriel the universally popular sounds of CosmoPop® music —TaliasVan's style of Global Change Music. TaliasVan's song "The Freedom Song" (written for Nigerian freedom fighter Ken Saro-Wiwa) listed in the March 1999 Top 20 of the country of Romania. VH1 veers away from its quality programming reputation and instead airs Rock Candy, a distasteful program that cynically attacks alternative artists. 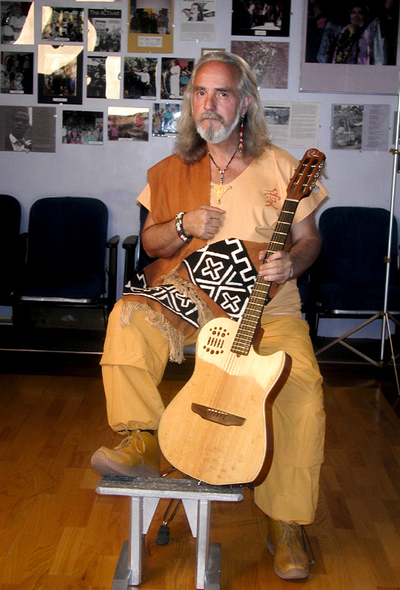 TaliasVan was told that VH1 wanted to spotlight him as an innovator of a new form of alternative conscious music. VH1's Rock Candy instead attempted to discredit TaliasVan's work and music. 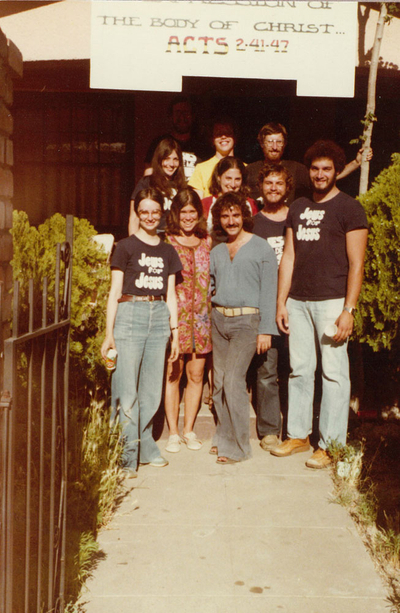 The Global Change Music web site introduced on the Internet. CosmoPop Millennium CD released. Songs: "Cosmic Brides," "Mr. Image Man," "Little Boy Blue," "Forever Friend," "Sedona Sunrise," "As I Love You," "Fused." TaliasVan & The Bright & Morning Star Band perform in concerts at Future Studios with native band Clandestine and Thomas Mapfumo & The Blacks Unlimited from Zimbabwe. 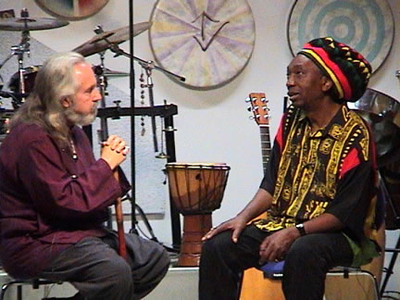 Grand opening of Future Studios, the gathering place for Global Change Music/CosmoPop® music, performing arts, and poetry. 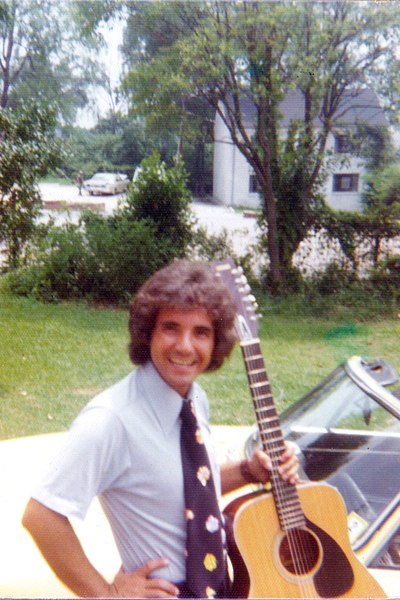 In the beginning of Future Studios, I played every Friday and Saturday with The Bright & Morning Star Band. Beginning of CosmoPop® music Benefit Concerts at Future Studios on a weekly and monthly basis. 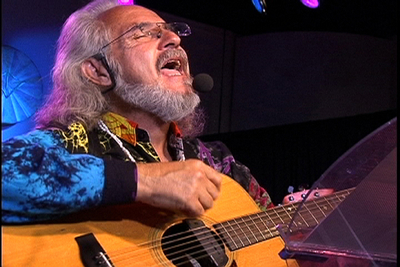 "Wake Up America" from the Holy City CD featured on KFLX (Flagstaff, Arizona) during an interview with TaliasVan. 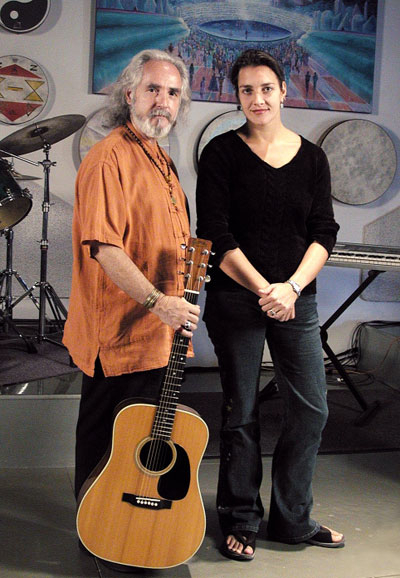 Video shoot of the song "Wake Up America" with TaliasVan & The Bright & Morning Star Band. 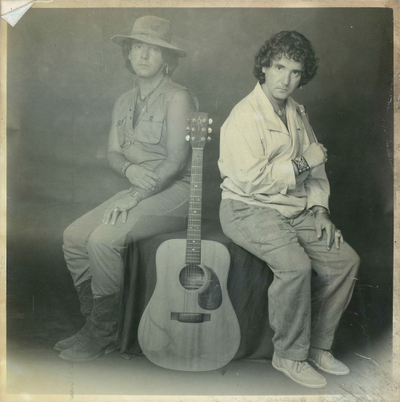 This video was produced by Santeen, who was a film producer, record producer, and concert promoter in Hollywood before joining Global Change Music. 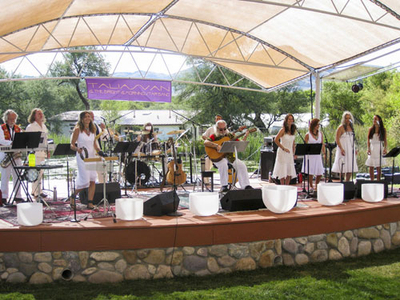 First live taping in Sedona, Arizona featuring TaliasVan & The Bright & Morning Star Band in a 2-hour CosmoPop® concert for Internet and TV. Later featured on Oasis TV. Also available on DVD. See GlobalChangeTools.org. 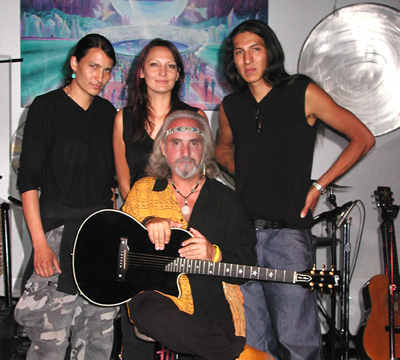 TaliasVan & The Bright & Morning Star Band win Aurora Award for Best Live Music Concert of 2005. TaliasVan founds the Musicians-That-Need-To-Be-Heard Network, an extension of Global Change Music Nonprofit Record Label which started in 1993. 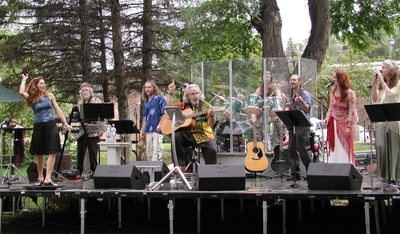 Outdoor major CosmoPop® Benefit Concert at Wheeler Park, Flagstaff, Arizona. 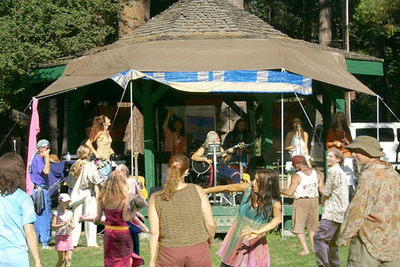 Outdoor major CosmoPop® Benefit Concert at City Park, Mount Shasta, California. 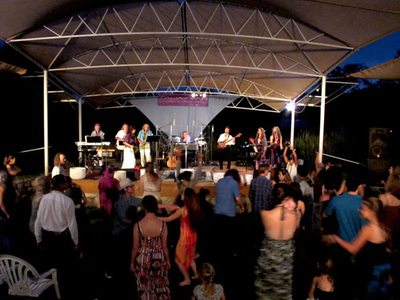 Outdoor major CosmoPop® Benefit Concert at Reid Park Bandshell, Tucson, Arizona. TaliasVan releases his CosmoChristmas CD, The God Child Came. 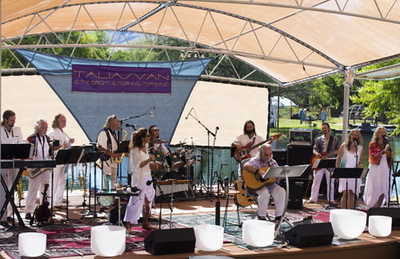 TaliasVan releases his 3-Song CosmoPop CD / DVD, Sedona Sunrise. 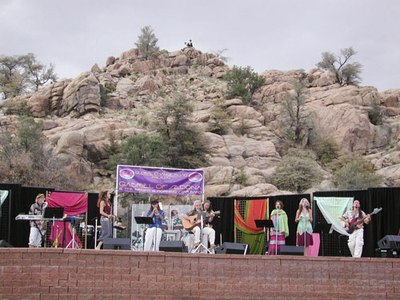 Outdoor major CosmoPop® Benefit Concert at Watson Lake Park, Prescott, Arizona. 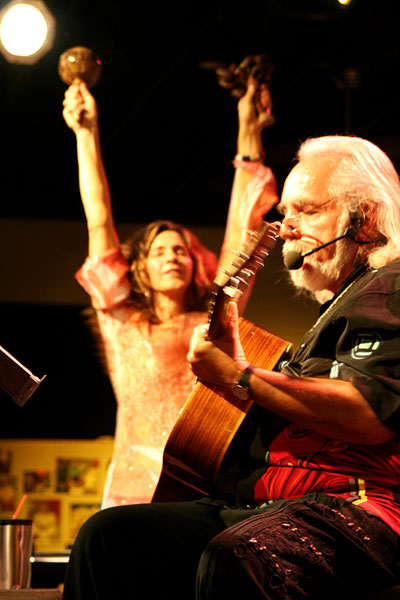 First Worldwide Webcast of TaliasVan & The Bright & Morning Star Band and the 9-11 Wake-Up America, Wake-Up World Radical Unity Concert. 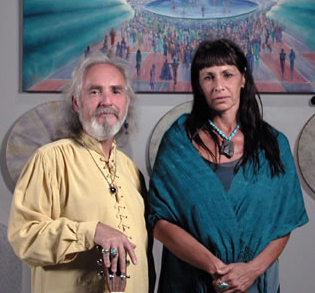 Second Worldwide Webcast of TaliasVan & the Bright & Morning Star Band— 11-11 What Does It Really Mean? Began to reach an audience around the world. 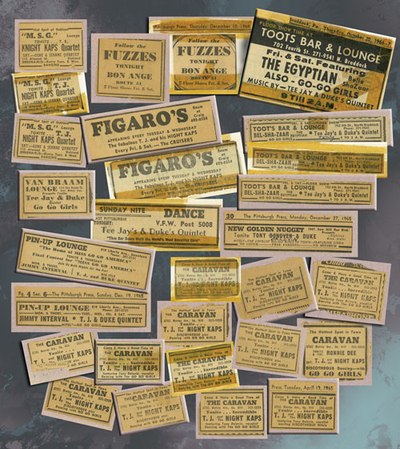 TaliasVan releases another CosmoPop® CD, CosmoPop® Variety. Energy Master, TaliasVan's long awaited 6th album released. Songs "Energy Master", "Edge City", "The Father of Your Moment", "I Know You In Light", "The Seasons of Your Soul", "Tenache", "The Light Has Come Into The World", "I'm Wondering If It's All Real"
TaliasVan & The Bright & Morning Star Band interviewed by Carl Fiske on Access Tucson's Exist Kind television show. 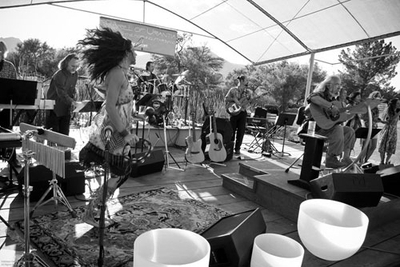 First Tubac/Tumacácori Global CosmoPop® Concert and Eco-Fest. 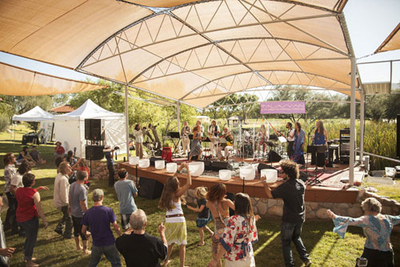 Second Tubac/Tumacácori Global CosmoPop® Concert and Eco-Fest. 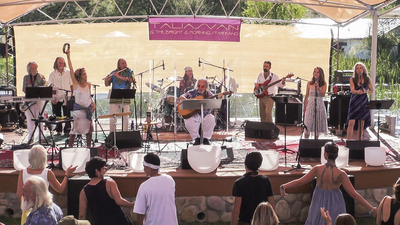 Be Aware Festival held at Avalon Organic Gardens & EcoVillage in Tumacácori, Arizona, featuring TaliasVan & The Bright & Morning Star Band. View the Be Aware Proclamation here. The CosmoPop Hour on Jolt-AM 1330 features an introduction to CosmoPop® music with DJ Shakta, now with KVAN 91.7 FM Tucson. 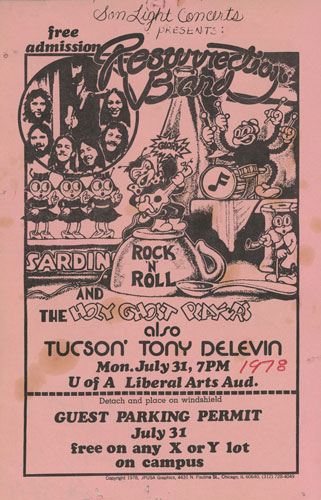 Played at the Berger Performing Arts Center in Tucson, Arizona. TaliasVan interviewed on Four Corners talk radio show "The Painful Truth" with Sean Osborn and Mike Logue in Durango, Colorado. 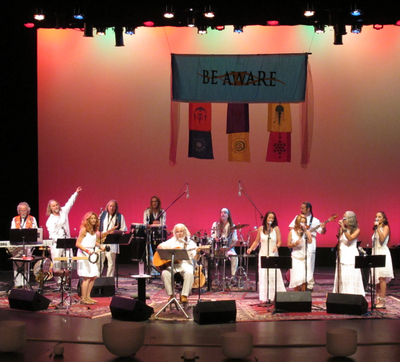 Played at Community Concert Hall, Ft. Lewis College in Durango, Colorado. 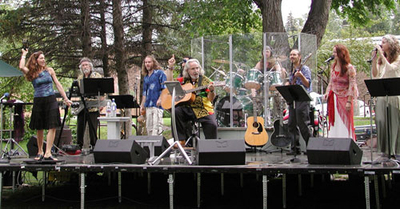 Played a concert at Rotary Park, Durango, Colorado. 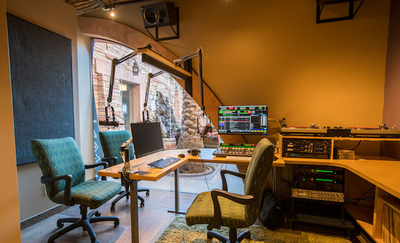 TaliasVan interviewed on KTAO, Taos, New Mexico radio station. 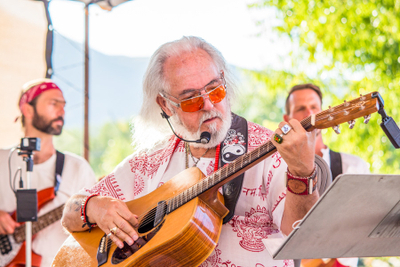 Performed at the Earth Harmony Festival in Tumacácori, Arizona, at Avalon Organic Gardens & EcoVillage. The Bright and Morning Star Band goes into Future Studios for recording new CosmoPop® music that includes TaliasVan's CosmoCountry™. 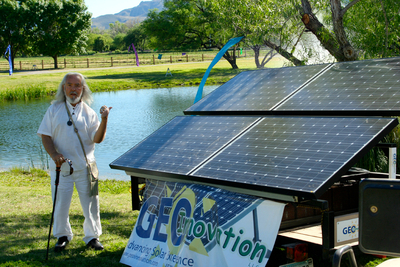 Performed at the second annual Earth Harmony Festival at Avalon Organic Gardens and EcoVillage in Tumacácori, Arizona. 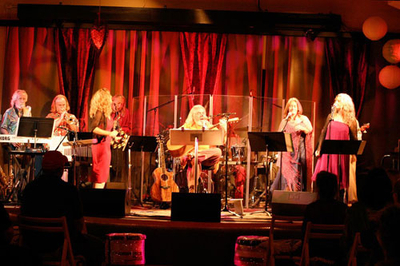 Performed special Valentine's Day show at The Sea of Glass in Tucson, Arizona. Many of these songs were written years before, but ahead of their time, at TaliasVan's Son Light Ministries on 4th Avenue in Tucson. A video was filmed of this concert. 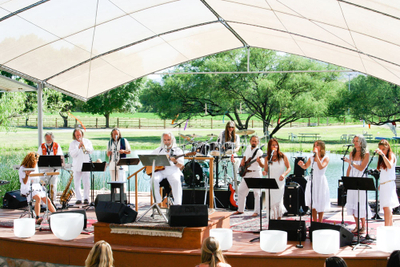 Performed at the Earth Harmony Festival at Avalon Organic Gardens and EcoVillage in Tumacácori, Arizona. Performed outdoor Spiritualution concert at Avalon Organic Gardens & EcoVillage. 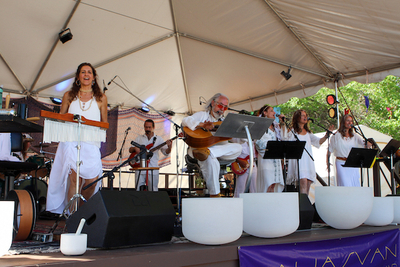 Performed at the Earth Harmony Festival in Tumacácori, Arizona. 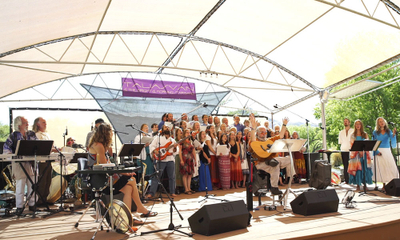 Performed at the 2016 Times of the Purification Gathering held at Avalon Gardens in Tumacácori, Arizona with the Bright & Morning Star Choir. 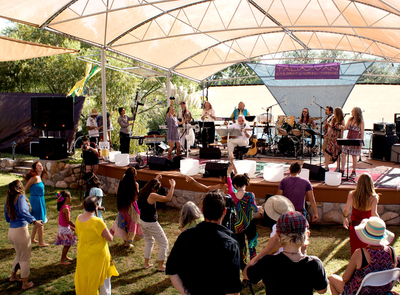 Performed at the Earth Harmony Festival in Tumacácori, Arizona at Avalon Organic Gardens & EcoVillage. 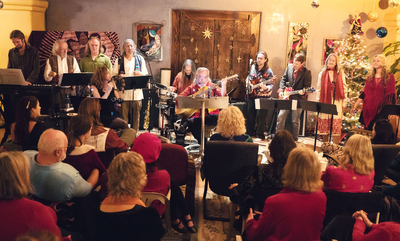 Christmas Eve surprise CosmoPop® concert by The Bright and Morning Star Band for community and guests in The Atrium at Avalon Organic Gardens & EcoVillage. Lauch of KVAN 91.7 FM Tucson, Visionary Radio. TaliasVan's vision for a spiritual radio station to reach the world. 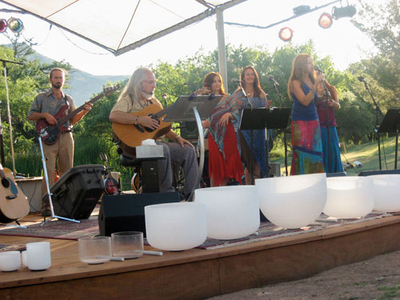 Spiritualution Concert in Sedona, Arizona at Camp Avalon.